"The Smite World Championship is almost upon us! 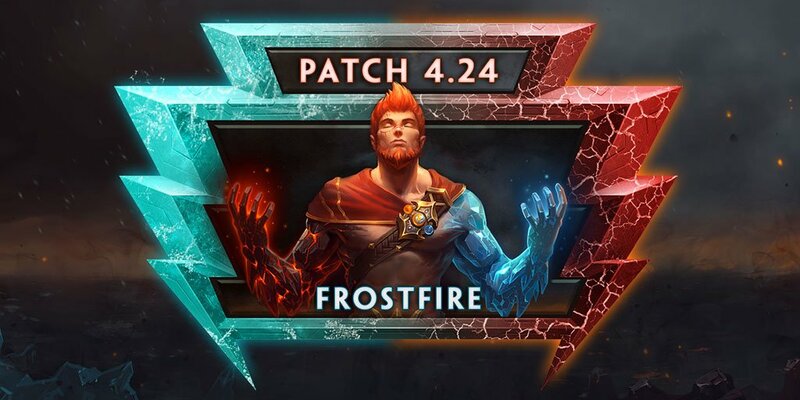 As stated in previous patch notes, this patch is going to be light on the balance side to ensure teams competing at HRX will have the time needed to practice without throwing a wrench into their planning." "Stone of Gaia has become a very sought after item as of the last SPL split, providing a large boost to a player's health pool over the course of a fight. We are increasing the cost to better reflect its potency at allowing players to survive burst and sustain themselves throughout a game." "We did a large pass on Mana costs for our gods. A few of them had Mana costs that were far too high. A few of these gods even encouraged players to purposely never level up an ability purely to keep it a lower mana cost." "Noxious Fumes is an ability that many players avoid levelling up, as the increased Mana Cost was not worth it because it rarely deals very many ticks of damage. We are bringing down the high end cost to make sure it is a better strategy to rank this skill up." "Similar to Noxious Fumes, Bacchus players who were maxing Chug could do themselves more harm than good. This should not be the case. Bacchus can now Chug for a much reduced cost, allowing players to feel good about ranking this ability." "Odin is another character we wanted to address as we head towards SWC, as both his casual performance and his impact at the highest end of play are both above the curve. Ring of Spears is seeing a slight decrease to duration, lowering the amount of time he is keeping players locked down and debuffed in a teamfight." "Sobek has been a pretty solid pick for some time, but when reviewing his Mana costs, we found the cost for Tail Whip to be a bit too steep. Sobek can use this ability more freely without relying as much on his Ultimate regen to keep him in a fight." "Sacred Monkey, which is neither a clear tool nor a major source of damage, was especially costly at early ranks. Hun Batz can now use this ability more often without running himself too low on Mana." "All of Isis' abilities were at or above 100 Mana at rank 5, but we only chose to bring down Spirit Ball and Dispel Magic. Wing Gust is Isis' primary wave clear and mobility move, and reducing its cost would have a larger impact, which is why we have left it alone." You're not joking that you're able to get these out super quick now!